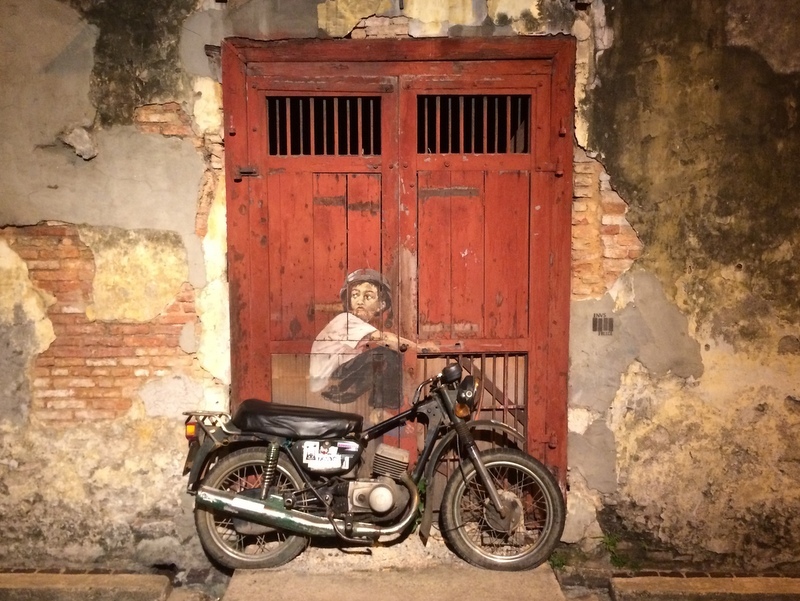 Penang is a paradise for foodies. 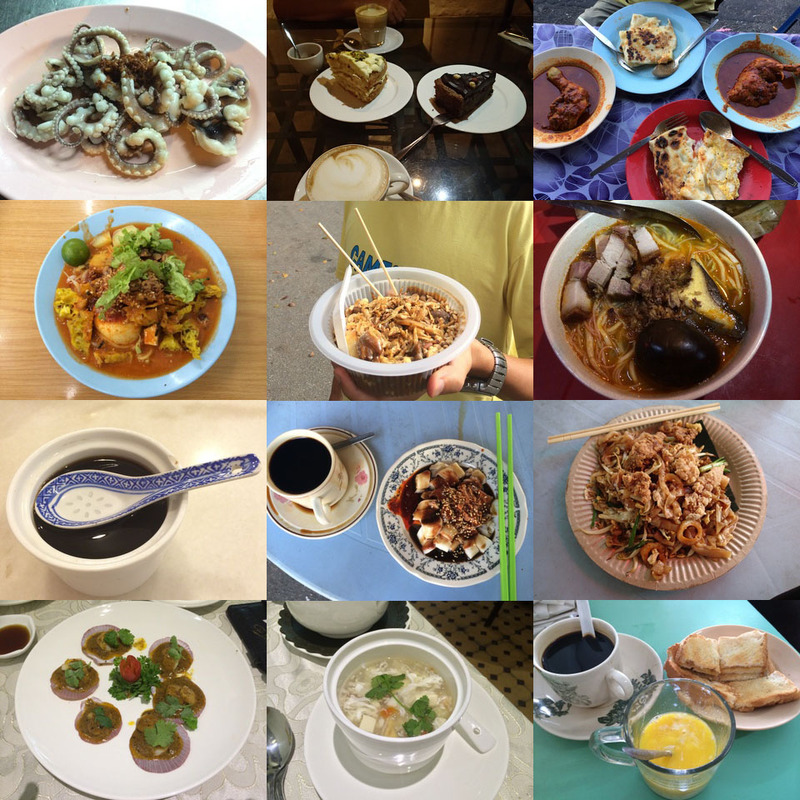 Do a Google search for “Penang food paradise” and you will get many pages with hits. 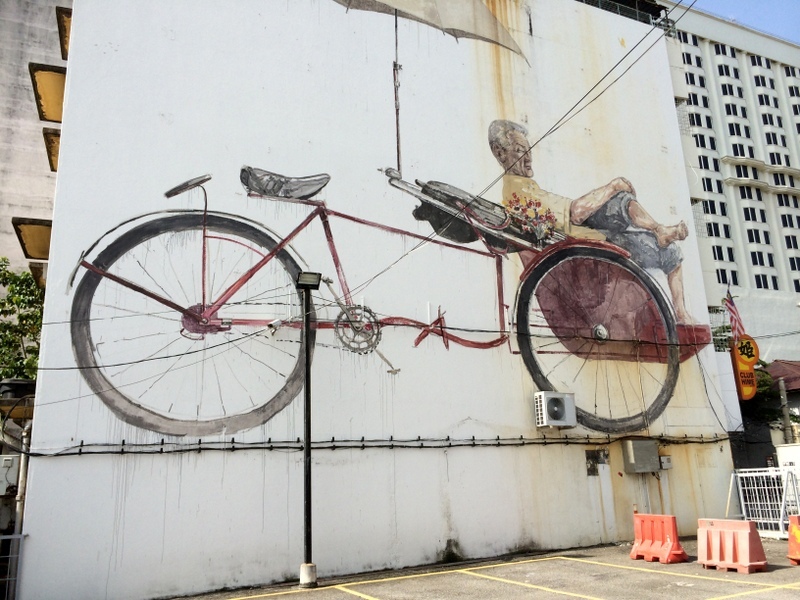 Our last trip to Penang had the Murals as destination and the Thaipusam festival, but of course also FOOD! Here is part of what we had during our stay. Makan Non Stop..:-) For my non-Malaysian followers: Makan = Eating in Bahasa. The traditional welcome greeting when you arrive at a friend’s or family house is: Sudah makan? Have you eaten already? On our way to Penang, we had dinner in Nibong Tebal at the Law Chang Kee restaurant. Famous for its Crab Porridge and its Boiled Baby Octopus. Don’t say aargh, the octopus was delicious. We paid RM 38 for our meal for two..:-) That is about 8-9 Euro. For our lunch we had planned to go to Balik Pulau for the Assam Laksa, But it was not our lucky day, the Chuan Hong stall, Aric’s favourite, was closed. So instead we had to go for Mee Rebus, in a nearby stall, also not bad. I will not mention all the other places we visited during our trip, only the last one. 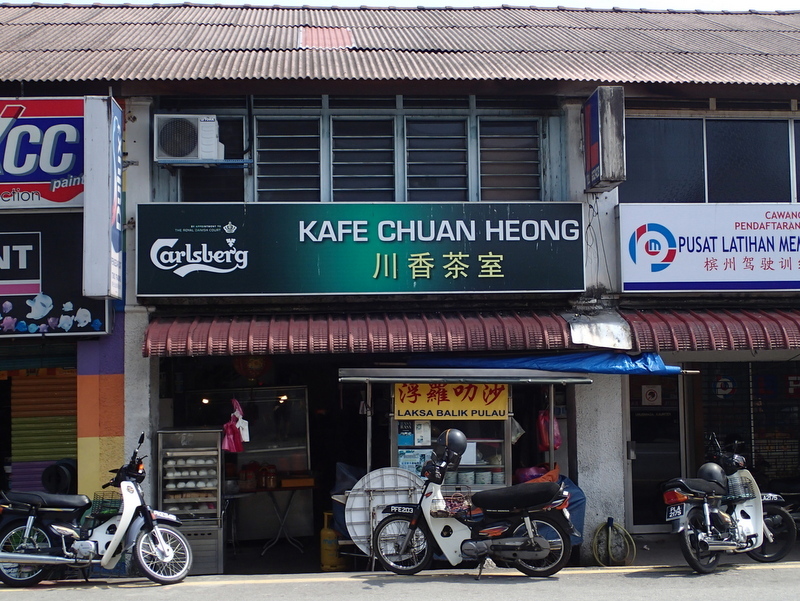 It is the HUG restaurant in Jalan Hutton, also quite near to our hotel Mingood. 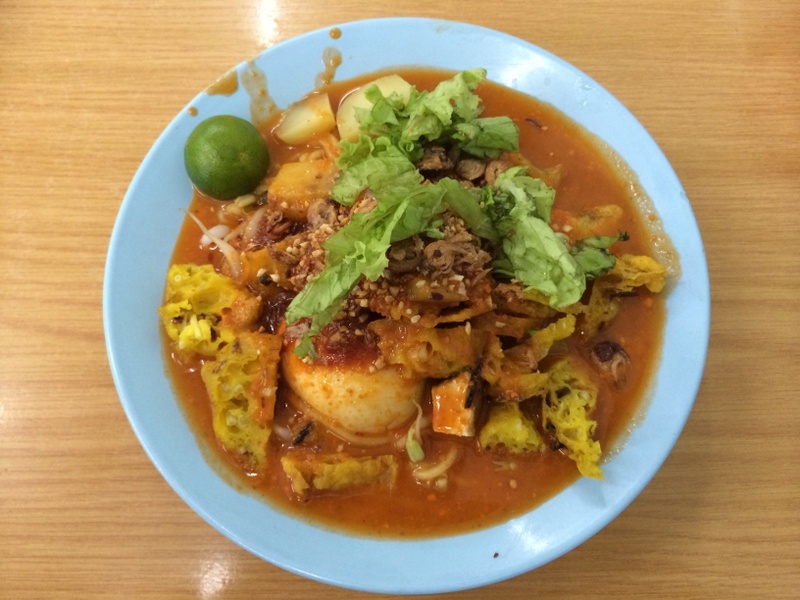 Basically I am a hawker food lover, no fancy restaurants. So when a friend suggested the House of Udang Galah , my first impression was: too posh for me. But looking at the menu, the reasonable prices and the positive review of my friend, we decided to give it a try. What an enjoyable evening we had! Excellent service, and good food. Only problem was that we ordered to0 many dishes, you should go there with a bigger group! Here a few more pictures. 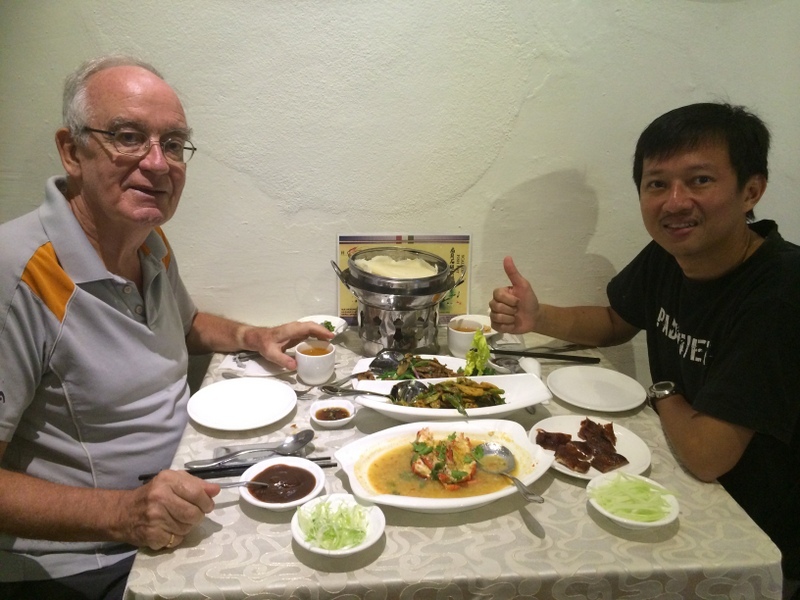 We had Scallops as a starter, Seafood soup, then Peking Duck (first the skin, then the meat), the Udang Galah, and a combination of four vegetables. Finally we could not resist the temptation of the Baked Red Wine Syrup Apple as a dessert. 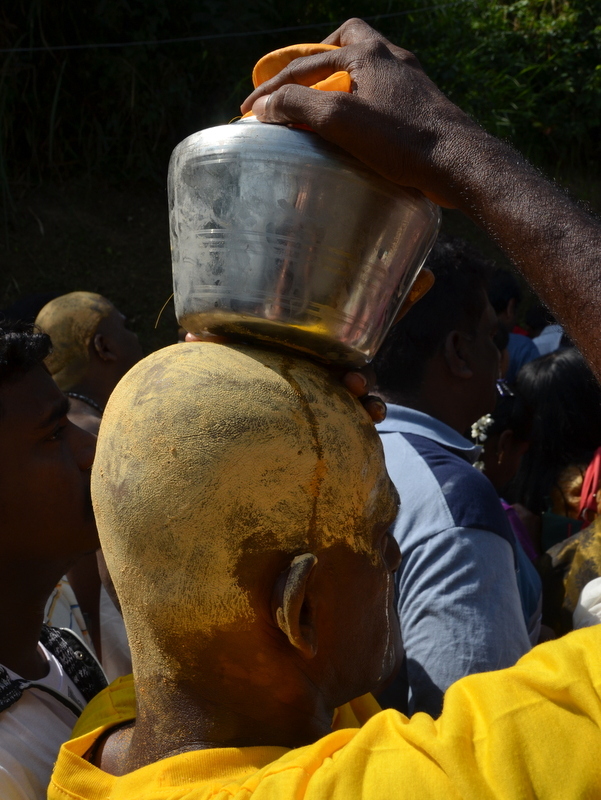 Thaipusam is a Hindu festival, celebrated, mostly by the Tamil community, on the full moon day in January/February. The festival is dedicated to Lord Murugan, the son of Shiva and Parvati and it commemorates the occasion when Parvati gave her son a spear (the Vel) to vanquish the evil demons. Years ago I had attended the celebration at the Batu Caves in Kuala Lumpur. This time I decided to go to Penang where Thaipusam yearly attracts hundred thousands of visitors. 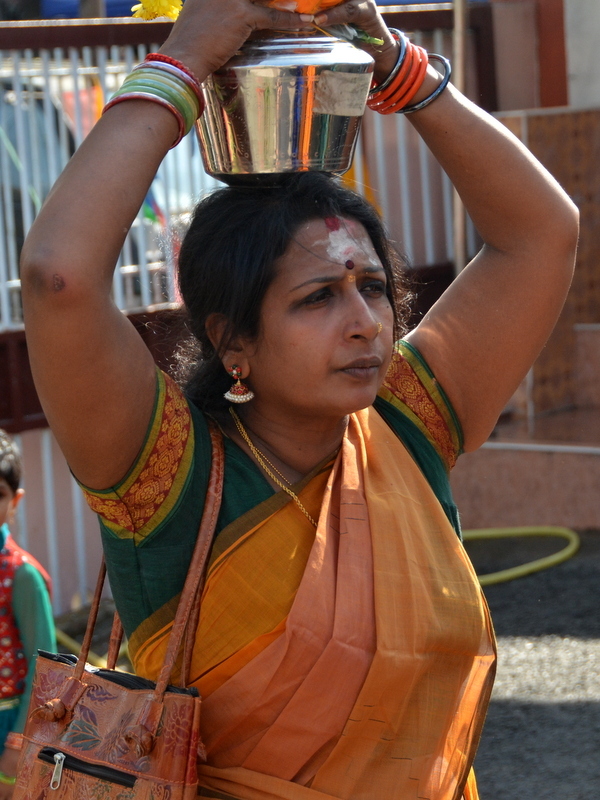 Other devotees attach fruits or small milk pots with metal hooks to their body. Most of them are Indian, but also some Chinese take part in the ceremony. 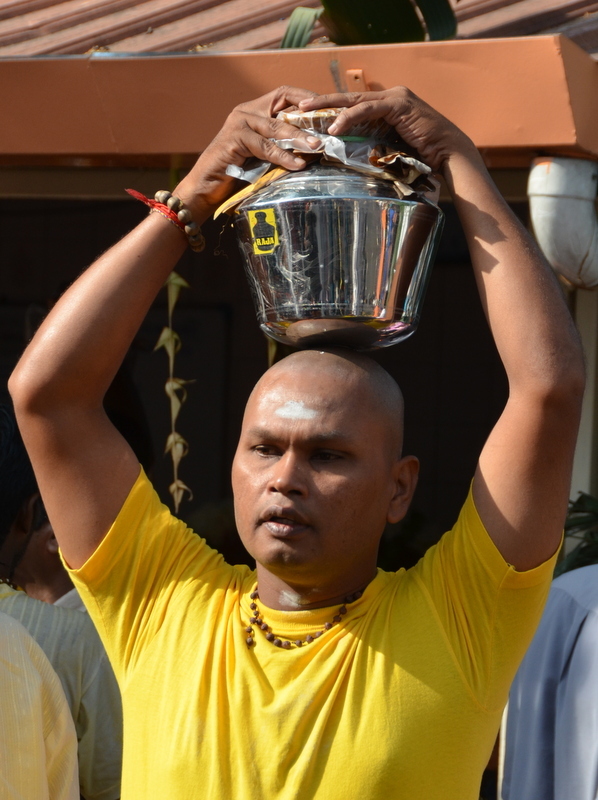 Many devotees carry pots with milk on their head. They carry this up the more than 500 steps to the Hilltop Temple. 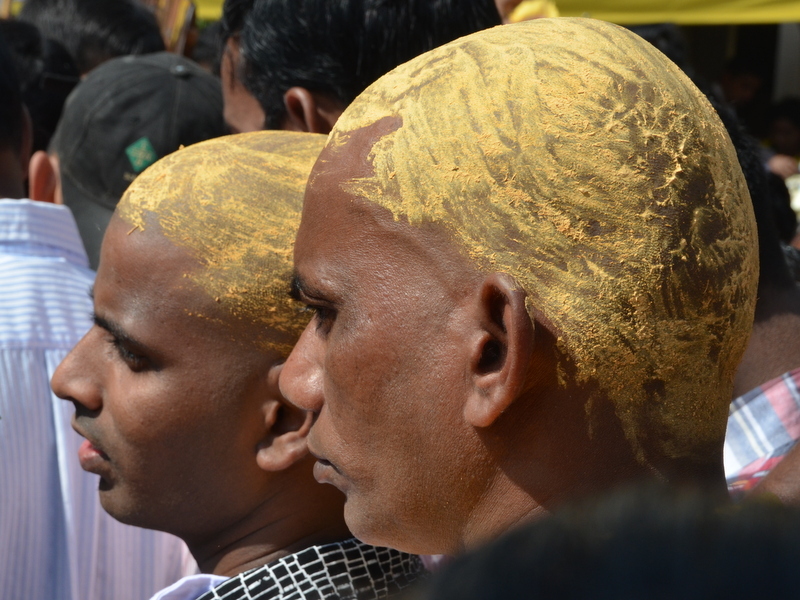 Quite a few devotees have their head shaved by barbers at the foot of the hill, as a sign of submission to Lord Murugan and in the hope that it will bring them good luck. We were prepared for massive traffic jams in Penang, so on Thaipusam day we left our car at the hotel car park and took the bus. 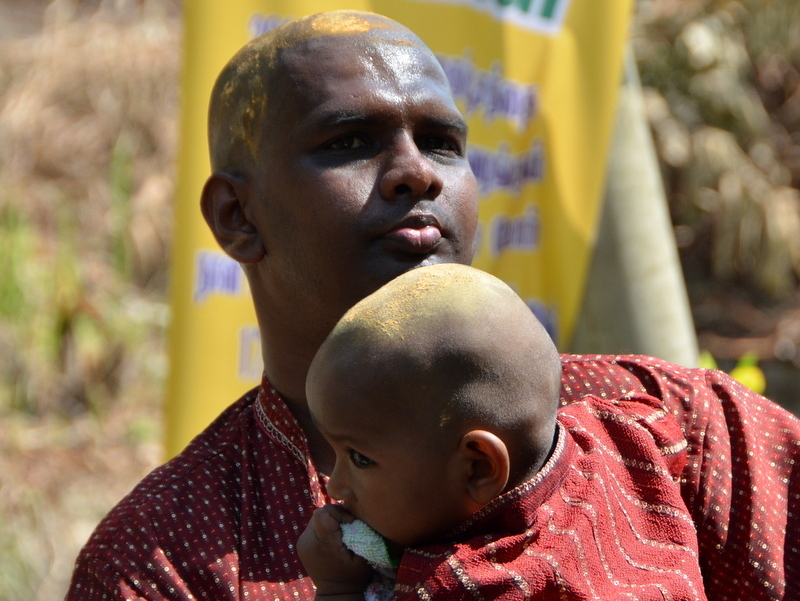 It was well organised, buses went on and off to Gottlieb road, dropping thousands of visitors. From there we had to walk, past numerous stalls, it was quite a carnivalesque atmosphere, more than I remembered from the Batu Caves in KL (but that was many years ago). 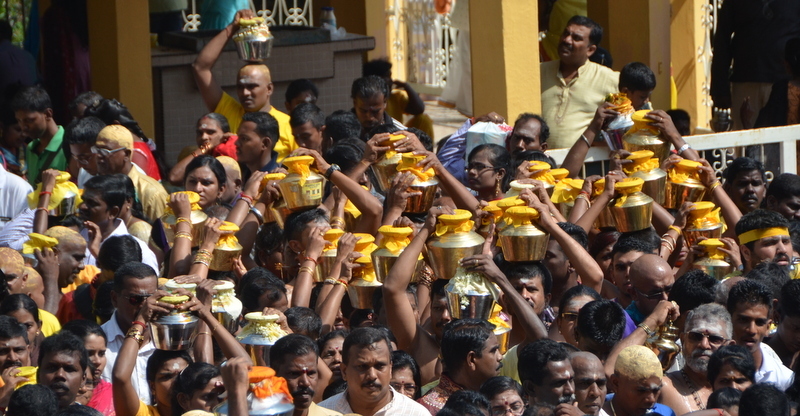 Kavadi bearers, often carrying really elaborate (and heavy) contraptions on their shoulders, devotees carrying pots with milk for offering in the temple later. It was a nice experience, but when I compare it with (my memories of) the Batu Caves ceremony, I prefer that one, as I felt it had a more “sacred” atmosphere. 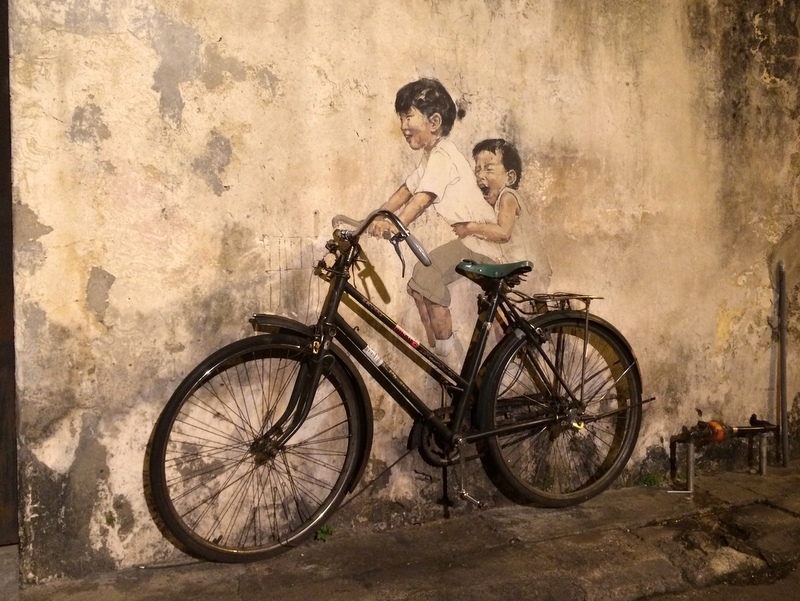 Since 2012 there is one more reason to visit Penang, besides the food and the cultural heritage. 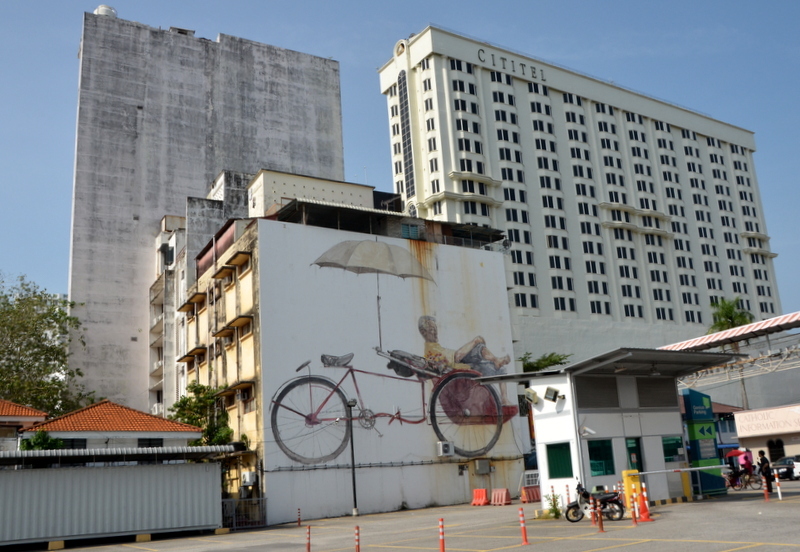 During the Georgetown Festival 2012, the young Lithuanian artist Ernest Zacharevic has painted a number of murals, which have become one of the major tourist attractions. Here are two very popular ones, a combination of a painting and an existing object. These two are floodlit during the night, which adds to the atmosphere. The next morning we visited the rest. 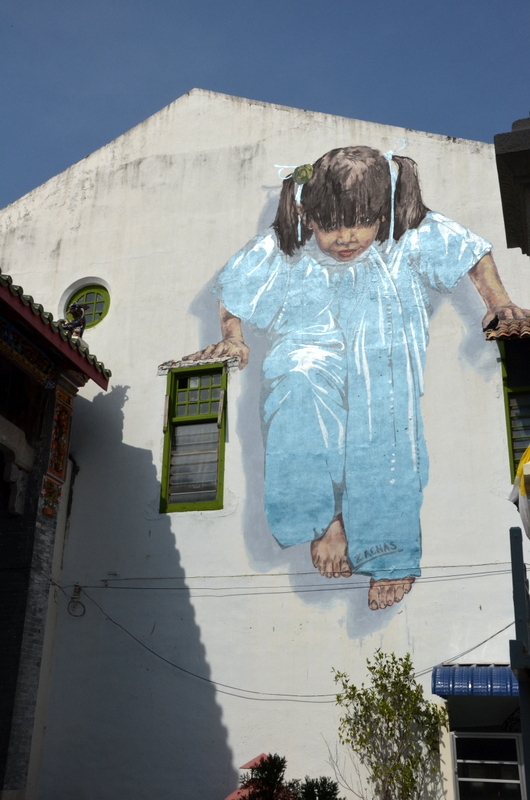 This one is called Wushu Girl and can be found at Muntri Street. Tourist arrive with taxis or on rental bikes to take pictures. Here are two more. 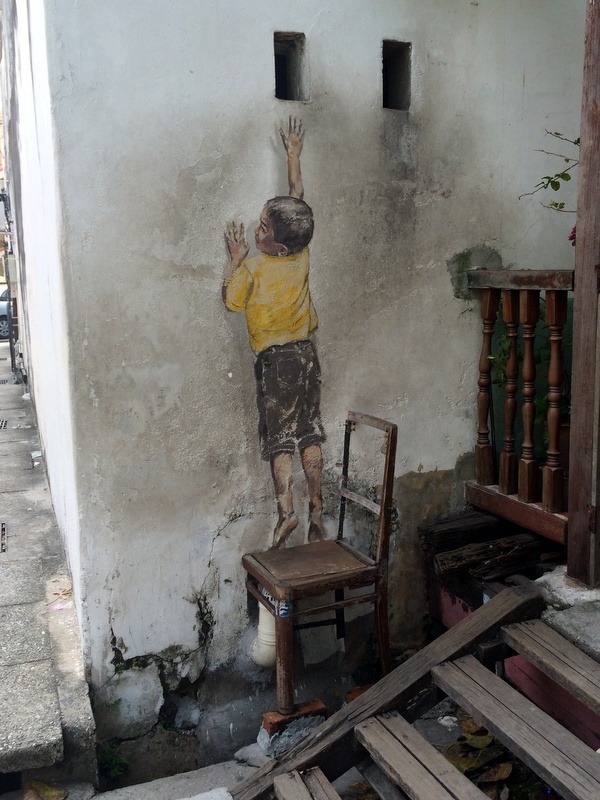 But only the left one, called Reaching Up is by Zacharevic! In quite a few places you will find now similar murals by others, a clear proof how successful the concept has been. 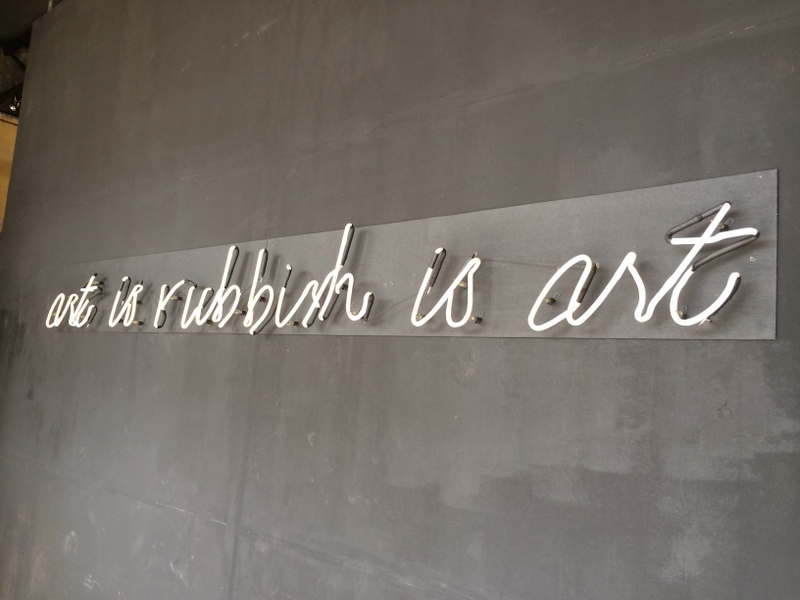 The artist is becoming popular all over the world. 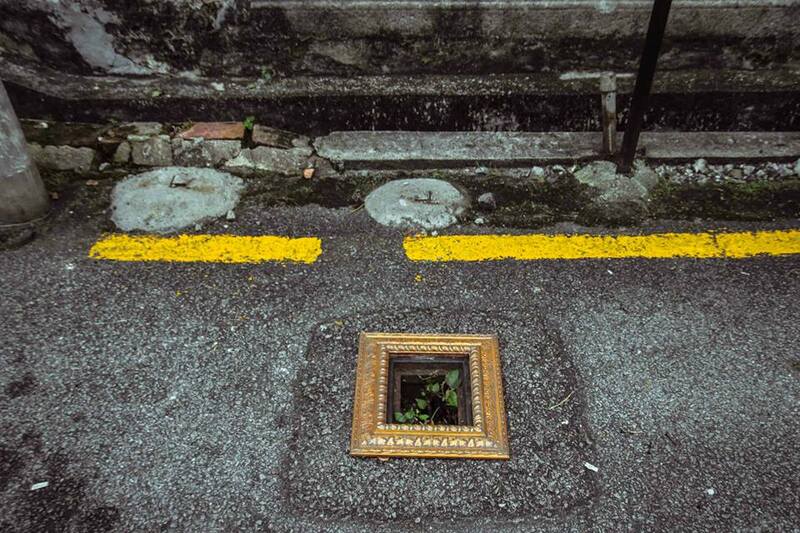 In Malaysia he also created works in Kuala Lumpur and Petaling Jaya. 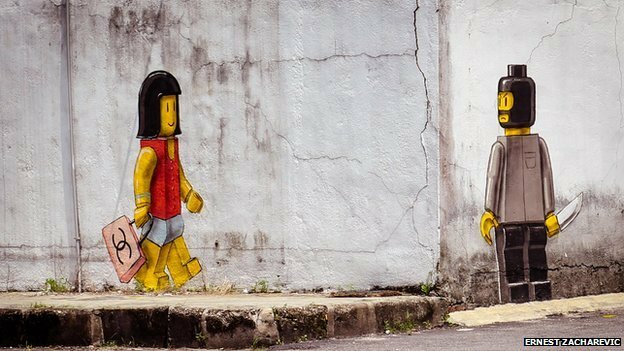 And of course the (in)famous one in Johor Baru, depicting a lady and a robber, both in Lego style. JB has Legoland and reputedly a high crime rate. 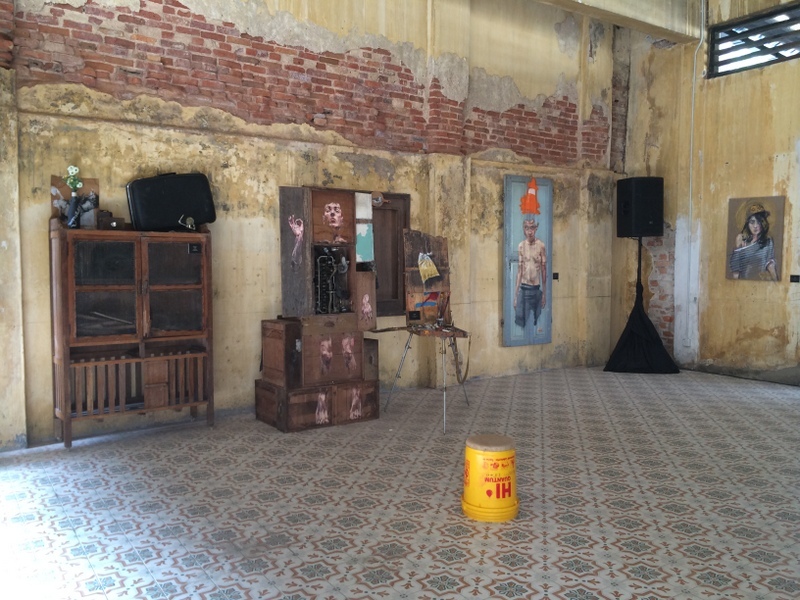 During our visit of Penang an exhibition was opened of (new) works by Zacharevic. 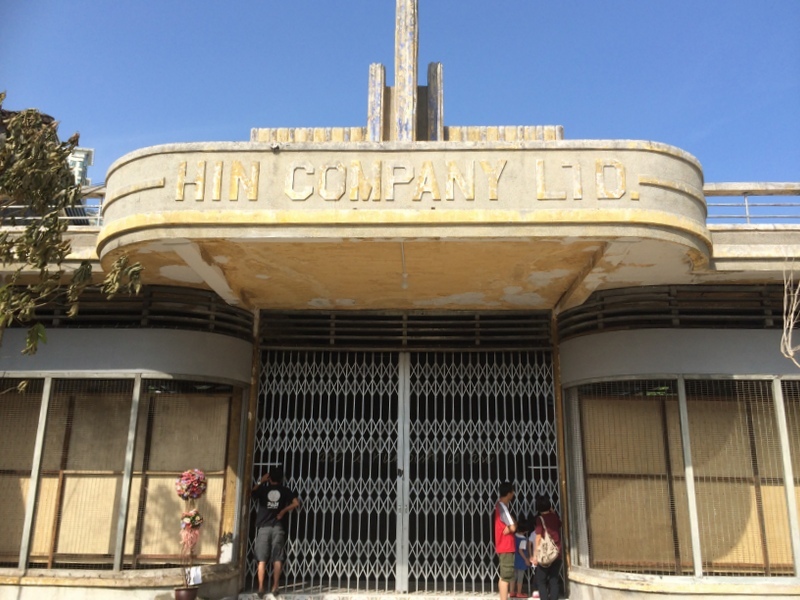 We were eager to visit this exhibition but found the door closed..:-( We could only peek through the fence. The exhibition opens from noon to 8pm daily until Feb 14. Free access. Maybe we should go back to Penang soon. 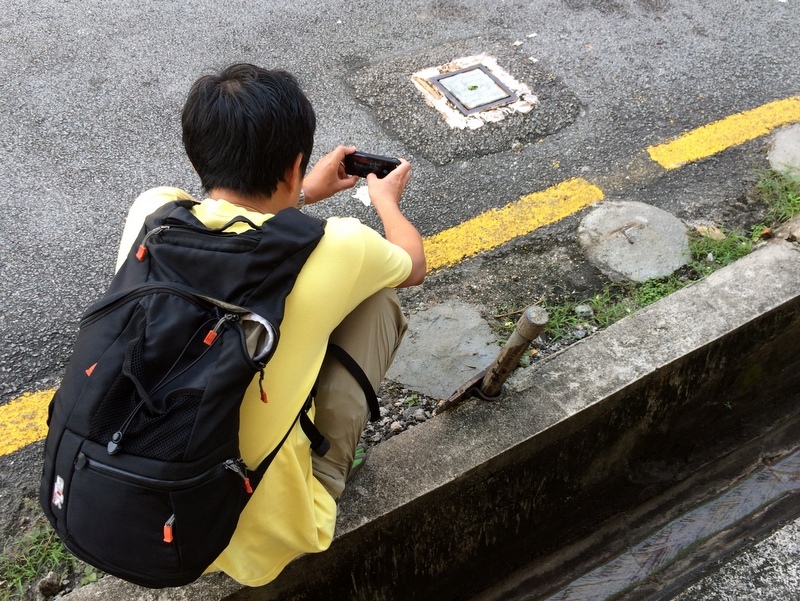 To find the locations of the Zacharevic murals, you can now install an App on your smartphone! 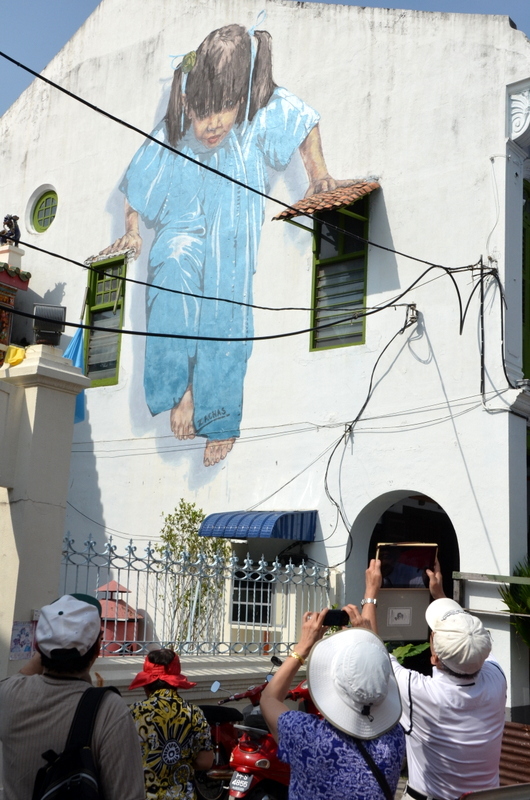 For the other murals you must just walk around Georgetown which is a pleasure in itself. Here is a collection of pictures. The town council has placed a large number of decorative metal wire signboards in the historical center. And a bit outside the center you can find the famous UBAH bird. 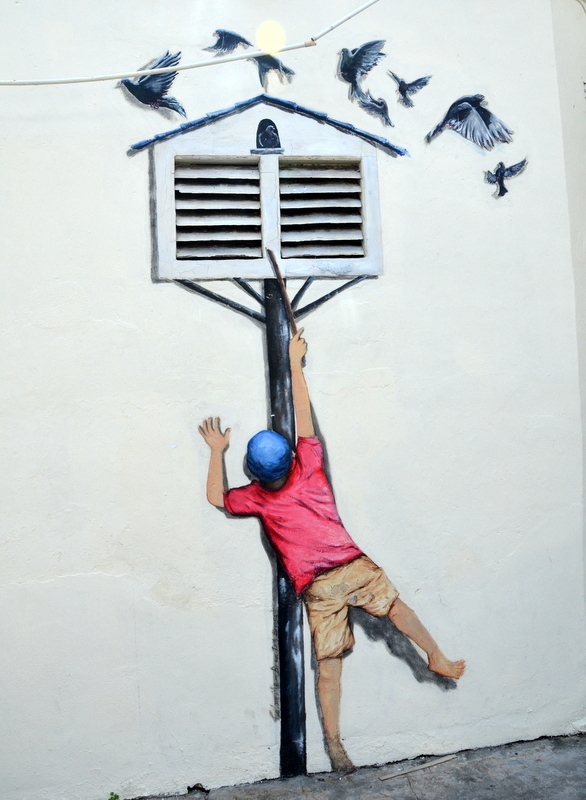 UBAH means change in Malay, Penang is governed by the opposition, so this bird is both art and a political statement. Almost ten years ago, in March 2004, the European Space Agency (ESA) launched a spacecraft with an ambitious mission: to orbit and land on a comet. 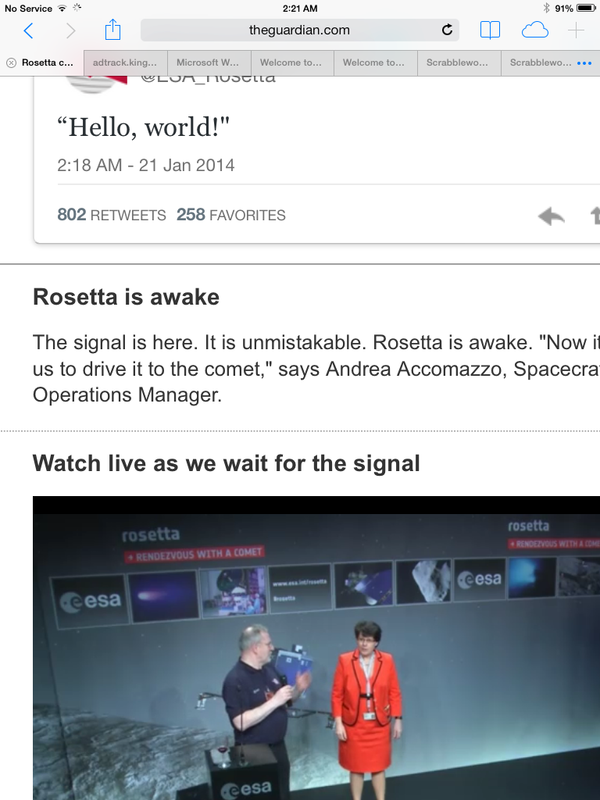 The spacecraft was called Rosetta. Once in orbit around the comet, a small probe, called Philae, would be launched to make a soft landing on the comet. In this artist impression you see Rosetta in orbit and Philae on its way down to the comet. Destination of Rosetta is the comet 67P/Churyumov–Gerasimenko This “dirty snowball” as comets are sometimes called, was discovered in 1969. It has a diameter of 4 km and orbits the Sun with a period of 6.45 year. Comet orbits are very elliptical, when they are close to the sun, some of the comet material evaporates and gives rise to the famous comet tail. At the moment this comet is on its way to the Sun, reaching its closest distance (perihelion) in August 2015. 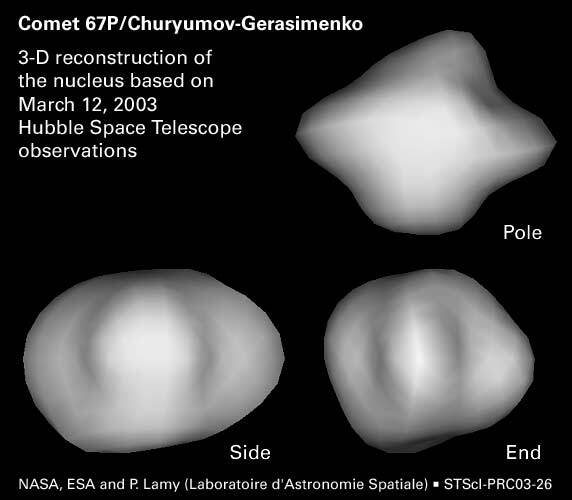 Here is a model of the comet nucleus, generated from images taken by the Hubble telescope. If everything goes as planned Rosetta will reach comet 67P/Churyumov–Gerasimenko in May 2014. A few months later, in November 2014, the probe will land on the surface of the comet. End of mission in December 2015. Why does it take so long to reach the comet? Have a look at this diagram, where you see the orbit of the comet (red), the orbits of Earth and Mars (green and blue) and the flight path of Rosetta (dashed line). The reason for the complicated flight path is that it is not feasible to give the spacecraft enough speed at launch to reach its target. To give the spacecraft its required speed, one or more so-called gravitational slingshots are needed.The principle is this: steer the spacecraft close to a planet or moon. Because these objects have their own (high) speed, the force of gravitation can give extra speed to the spacecraft. A simple analogy can be found in sports. When a ball hits a stationary held tennis racket, the speed of the ball will basically remain the same (only reversed). But when the player moves the racket towards the ball, the ball will bounce back with a much higher speed. Rosetta has used four of these slingshots, marked in the diagram above Three times with Earth (2,4,6) and once with Mars (3). Imagine how accurately the scientists have to steer! 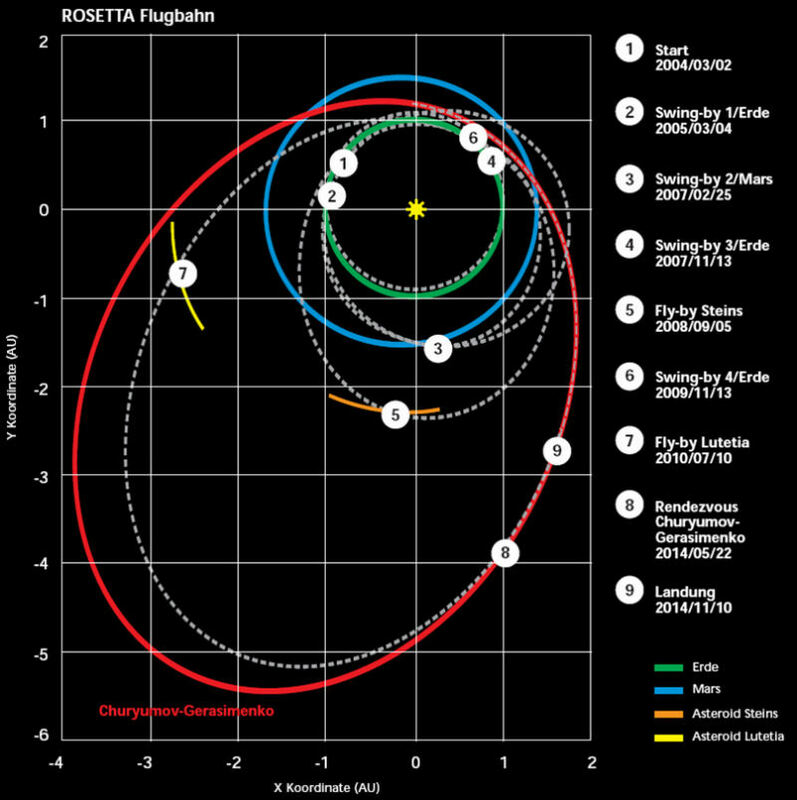 Actually they did it in a clever way so there were a few bonuses..:-) The second slingshot by Earth (4) was performed in such a way that the path of Rosetta would cross the path of an asteroid, Steins, on 5 September 2008! Perfect to test if all equipment was still working correctly. 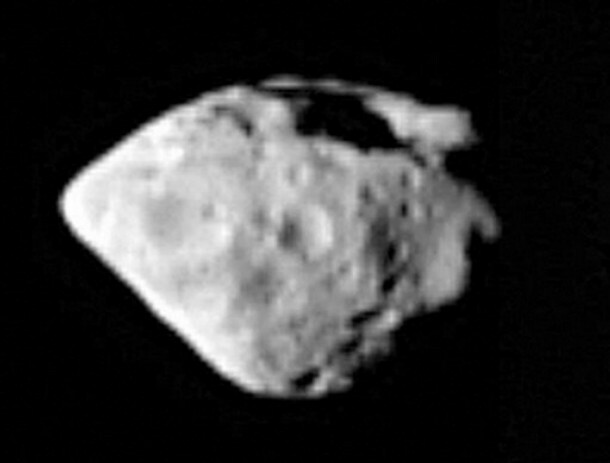 Here is an image of this rather small (diameter ~ 6 km) asteroid, taken by Rosetta during the fly-by (5 in the diagram). Closest distance between the two ~ 800 km, distance from the Sun more than 300 million km. Amazing. Again a bonus, a spectacular one. 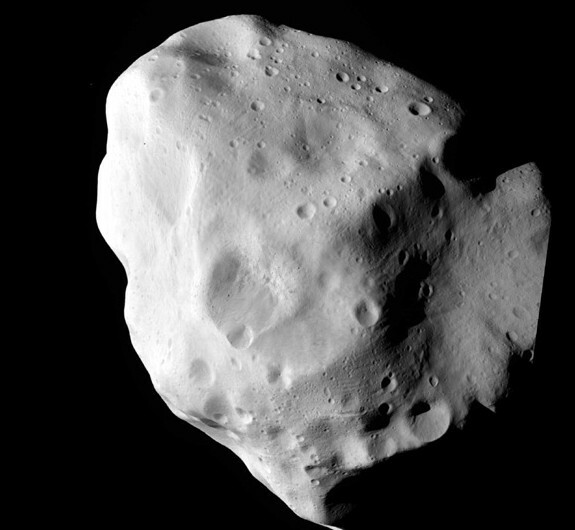 The path of Rosetta crossed the orbit of another asteroid, a big one (diameter ~ 120 km), called Lutetia. Here is a picture. Asteroids are as old as the solar system, what an inferno it must have been in the beginning, noticing the surface pockmarked with craters. The very elliptical orbit of Rosetta after the last slingshot, means that it is moving very far from the Sun. And it depends on the Sun for it uses solar power. The engineers came with an ingenious solution, they let Rosetta go into hibernation! 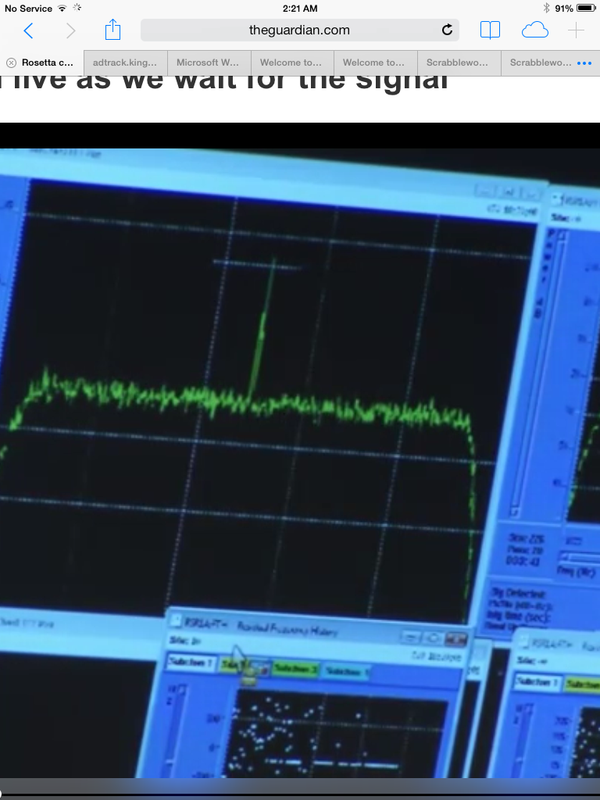 On 9 June 2011, they sent a signal to Rosetta to switch off all instruments, keeping only the main computer and some heating alive, and starting a timer. It worked, because from then on the spacecraft did not send any signals. 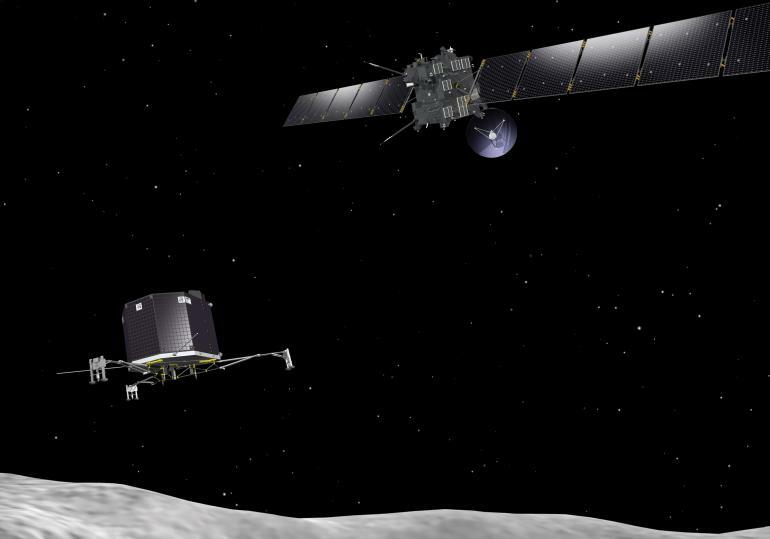 For more than two and a half years there has been no communication with Rosetta! The timer has been programmed to give Rosetta a wake up call on 20-1-2014 at 10.00 GMT. The wake up process will take many hours. The controlled spinning has to be stopped, the antenna has to be pointed to earth etc, etc. It is expected that the first signal should reach Earth around 17:30-18:30 GMT (Malaysia time is GMT + 8 hours). More information can be found on the ESA Wake Up Rosetta page. They have done a good publicity job. For example they have organised a Wake Up Rosetta competition for the general public. You can create a video and submit it (until tomorrow). Here is the Facebook page where you can view the contributions. And vote for your favourite! Tomorrow will be a nerve-wrecking and nail-biting day for many scientists! This was a sign of life, next step will be to receive a health report. What a brilliant achievement. A friend sent me a link to an ESA webpage: Where is Rosetta An animation of the path of Rosetta through the Solar System. Breathtakingly beautiful. You can zoom in and out, tilt, etc. The page takes time to load, but really worth the effort ! Some time ago, a friend sent me a link to a YouTube video in which the countertenor Philippe Yaroussky sings arias by Vivaldi, Haendel, Porpora etc. Porpora? I had never heard about him. So I searched the Internet and found a website, the Porpora Project, dedicated to this 18th century Italian composer of Baroque operas, oratoria, cantatas etc. Here is the aria Alto Giove from Porpora’s opera Polifemo. This opera was first performed in 1735 in London, with Farinelli as singer. Jaroussky is, like my favourite Andreas Scholl, a countertenor. His vocal chords have developed normally during puberty, “breaking” his voice. But all males can still sing high, using their “head voice” and not their “chest voice. Try it out for yourself! Technically it is called the falsetto register and countertenors are trained to use it. 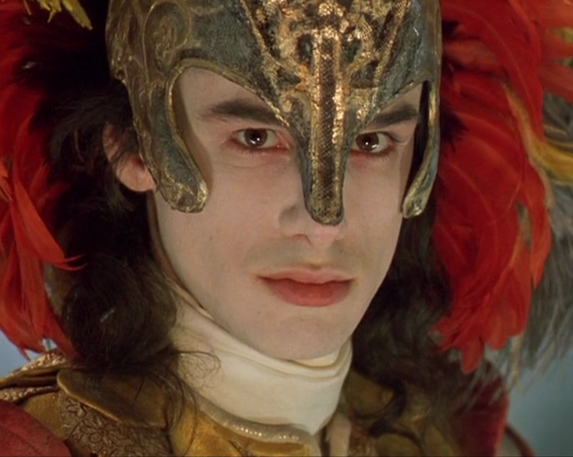 About Farinelli a fascinating movie has been produced in 1994. The movie can be seen on YouTube. The movie is not historically accurate, but really worth viewing. Here two times Farinelli, a portrait and a screenshot. The singing in the movie was done by a soprano, by the way! There are nowadays a few singers who are “natural castrati”, for endocrinological reasons their vocal cords have not grown during puberty. One of them is Radu Marian. Here he sings Lascia Ch’io Pianga by Haendel. As I wrote before, Andreas Scholl is my favourite countertenor, so this post would not be complete without a recording by him. A recording of one of the most beautiful arias I know, from the Nisi Dominus by Vivaldi. 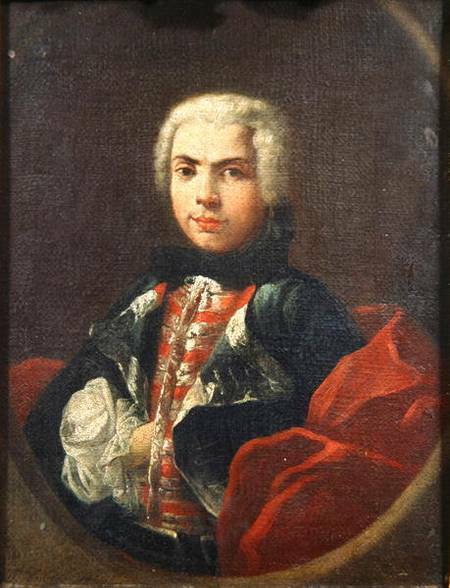 Baroque operas often had a castrato as a lead singer. Nowadays these parts are sung by a countertenor. Or of course by a soprano. One (mezzo) soprano who does this very well is Cecilia Bartoli, another favourite of mine. Here is a collection of Castrati arias sung by her. Many of the arias in this recording have been composed by Porpora. More about Cecilia Bartoli in a later blog. Yesterday I explored with a few friends waterfalls in the Sg Rinting. This river is located in the same region as the Chiling waterfalls, visited last week. But that is where the similarity ends..:-). 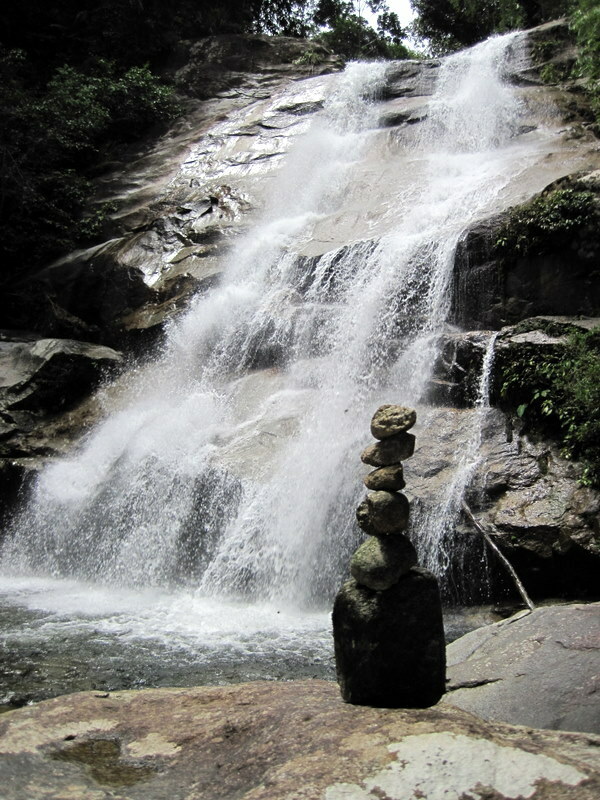 The Chiling fall is the most popular waterfall in Malaysia, with a crowd of visitors each weekend. 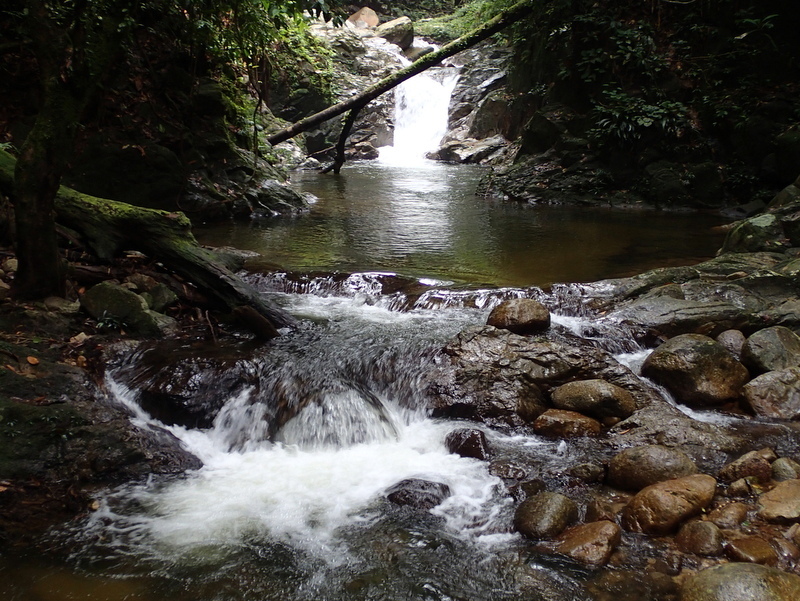 The Lata Medang, the main waterfall of the Rinting river is less frequented, access takes longer, although the trail is easy to find nowadays. 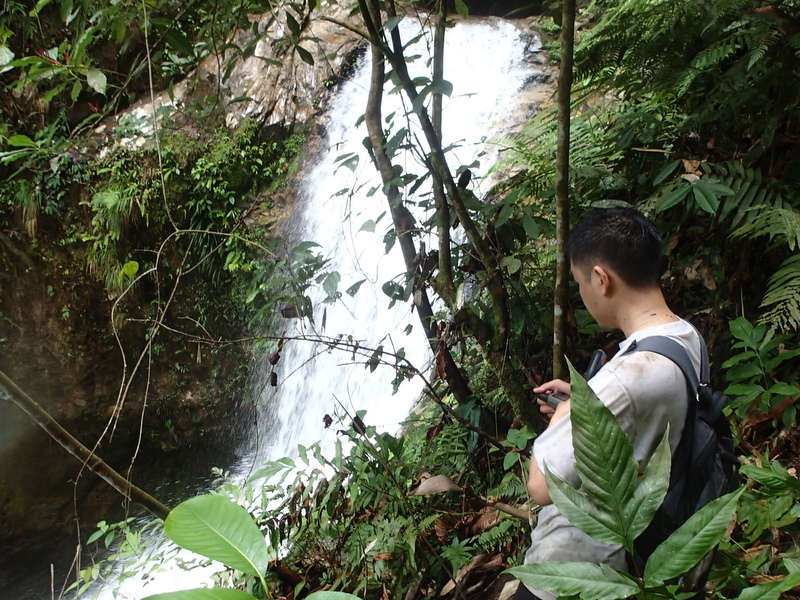 Here is the Medang waterfall (upper part) with my personal marker. Picture taken few years ago. 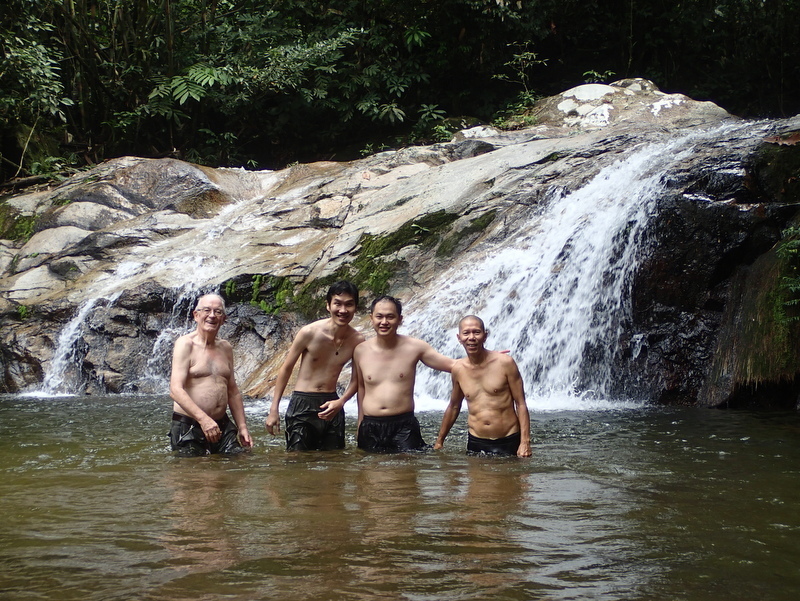 Our target for this trip was not the Medang fall, but the several falls that can be found downstream of it. With as our main interest a tall fall, named Kijang Jatuh. After having breakfast with Siang Hui and Nick, near my condo, we drove to KKB where we met Eddie. 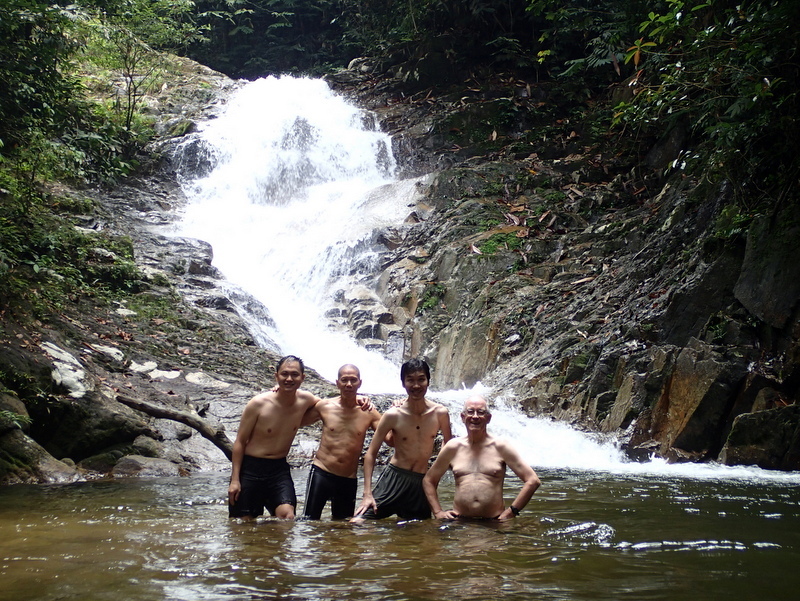 The trail head is the same as for Bukit Kutu and the Sg Luit waterfalls, starting from Kg Pertak. 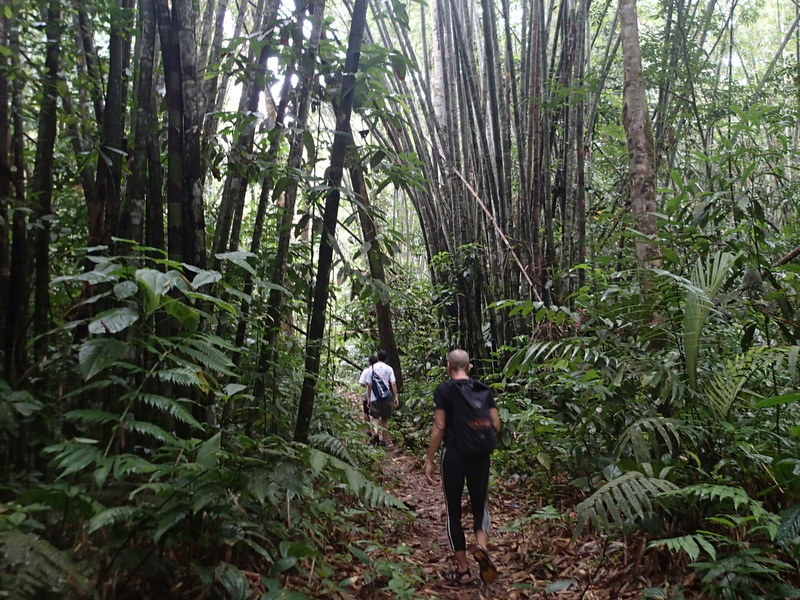 Well defined trail until you reach an Orang Asli (?) campsite near the first waterfall. From there we started river trekking to the next tiers. Vague traces of trails, sometimes just following the river. Very rewarding hike. Here are some of the tiers we found. We continued our hike and reached the Twin Falls. The next one should be the tall Kijang Satuh. But how to go there? Following the river or scrambling up the slope? Siang Hui and Eddie decided for the second option. It was a tough and steep climb up to a former logging road, completely overgrown. 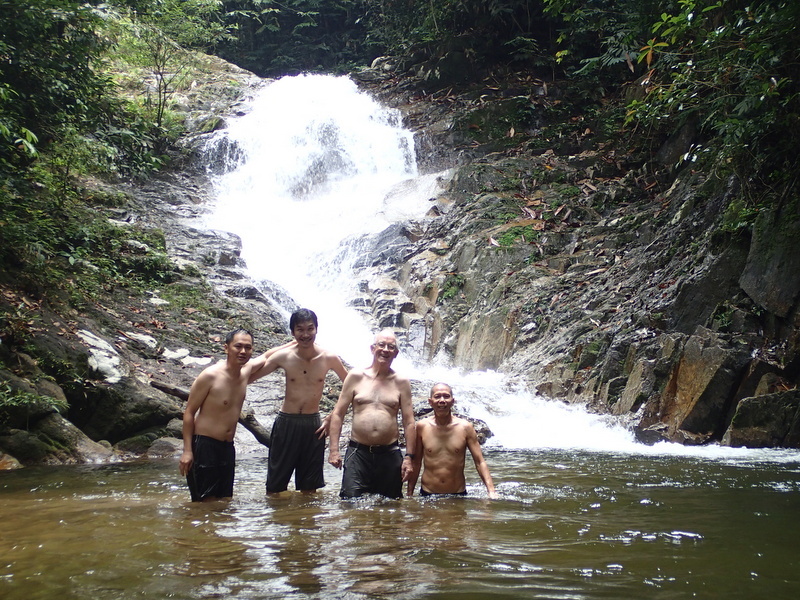 Thanks to Eddie’s and SH’s expert parang handling, we managed to reach the location of the Kijang Jatuh fall. However, we could not reach the bottom of this impressive tier. Halfway down the slope became too steep. 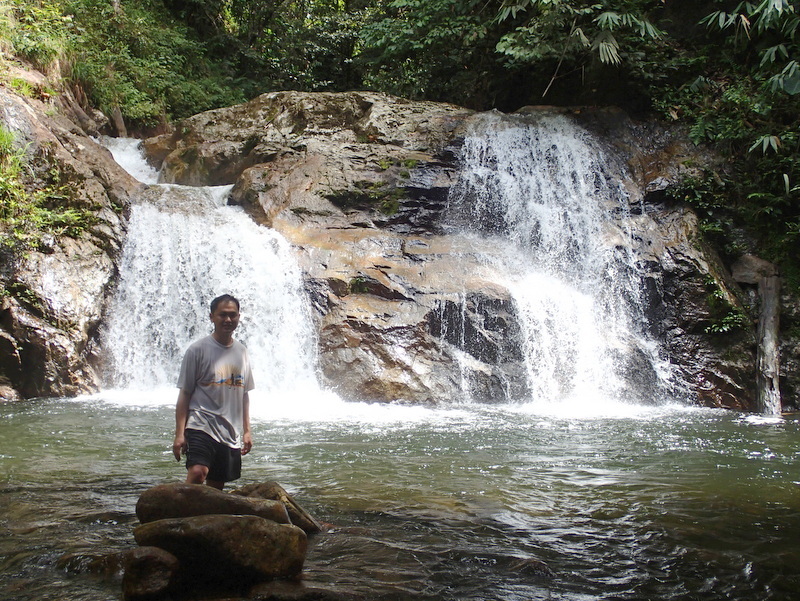 Here are the Twin falls and a partial view of the Kijang Jatuh. Maybe we must come back and try the river trekking option. I took a video of this fall, it gives an impression. A perfect start of 2014. In a few months time I hope to celebrate my 70st birthday, maybe it is time to slow down my waterfall activities a bit. But this trip was big fun!